(2) Pivot Ultra Aerosol Plus Flea and Tick - Use this complete aerosol indoors. It will kill both immature and mature fleas and ticks. It stops the growth cycle; one can treats up to 2625 sq ft (may need to spray again in about 14 days). Bifen IT-Qt-Outdoors, will kill the adult fleas. Combine with Tekko Pro IGR for the first two sprayings. Use Pivot Ultra pLUS Aerosol inside. Pivot Ultra Plus Aerosol works well on both hard floor surfaces(test first hard wood floors for spotting) and carpet/rug areas.To treat carpet and other areas of suspected flea infestation, hold container upside down 2-3 feet from the surface, point actuator towards the surface and push button. Using a sweeping motion, apply a light uniform spray to all surfaces of furniture, rugs, carpets, drapes, and on and around all pet resting areas. Apply Pivot Ultra Plus Aerosol to such flea infested areas, as under edges of rugs and carpets, floor coverings, pet resting quarters, pet beds, cracks and crevices nearby, between and under cushions of upholstered furniture and other surface areas where fleas may be present. A light misting is all that is required to control fleas, ticks and their larvae. Use care when applying to hardwood floors and only use a light misting to those areas. Reapply in 14 days, if necessary. Use a hand pump sprayer for small yards or a hose end sprayer for bigger areas. Add a B&G Dura 1 Gallon sprayer at discounted pricing. After our home was infested indoors and outdoors, we purchased this kit. After a few weeks of being miserable and using other products that did not work; we tried this and saw instant results. I'm like a magnet for these annoying creatures. I literally would walk into the restroom and would have at least 10 of them on my feet and ankles. The minute we sprayed the aerosol cans, the little boogers stop biting. Then we went out to the yard and sprayed the yard and around our home. The Instructions said to do a repeat treatment in 2 weeks. We never had to do it. Our problem was gone for good! We have never had fleas before! This year we were overrun -the yard, the pets, the house! We tried everything and nothing worked! Finally we used these products and saw almost immediate results - thank you!!!!!!!!! Used this for flea control outside home. Added benefit is that initial treatment also decreases mosquito population. 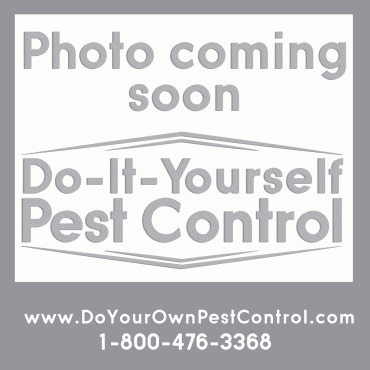 Great place to find pest control products and the knowledge in how to use them properly.